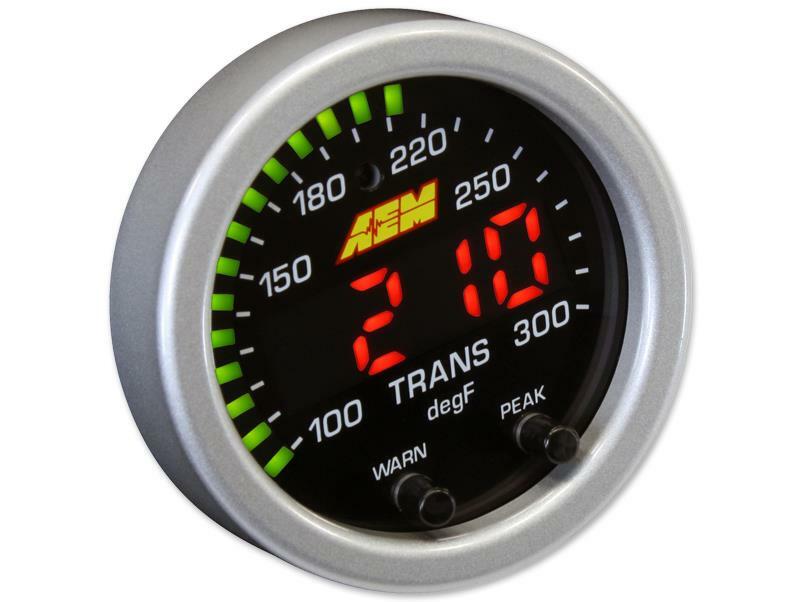 AEM’s new X-Series Digital Gauges combine incredible looks, increased readability and a multitude of new, easy-to-use features! X-Series Digital Display Gauges are available for Boost, EGT, Fuel/Oil Pressure, Oil/Water/Trans Temperature and Volts. These new gauges complement the X-Series Digital Wideband AFR gauge which was released in the winter and is the fastest responding wideband in independent testing. Visual improvements include a bright three- or four-digit LED display that is 87% larger than our original digital gauges and provides better readability. A sweeping green LED “needle” lines the edge of the gauge face for quick reference. A 33% overall increase in the gauge face display makes it easier to see displayed values at a glance. X-Series Gauges come with a black bezel and faceplate, and optional silver bezel/white faceplate accessory kits are available for each gauge (sold separately). X-Series Digital Gauges include new technological features that make them easier to use. Two buttons on the faceplate deliver programmability for peak/recall, standard or metric display, and user-selectable min/max threshold warnings. The faceplates are reversible for standard or metric. The gauges are AEMnet CAN-bus enabled, so they can be daisy chained together for use with the Infinity ECU, Series 2 EMS, AQ-1 Data Logger, or 3rd party EMS or logger that accepts AEMnet. 0-5V analog outputs are also included for inputting into data loggers and engine management systems.